Occasionally, a comedy show enters the public consciousness so far as to become a ‘cultural resource’. It happened in the 1960s and 70s with Monty Python, and now with The Mighty Boosh (aka Julian Barratt and Noel Fielding). Normally sane people start to speak in a language that only other fans will understand (‘Eels! Eels!’), and go to parties dressed as characters from the show. Like Python, the Boosh have now produced a book, and, as Python’s were, it is a cut above the usual comedy Christmas stocking-filler. 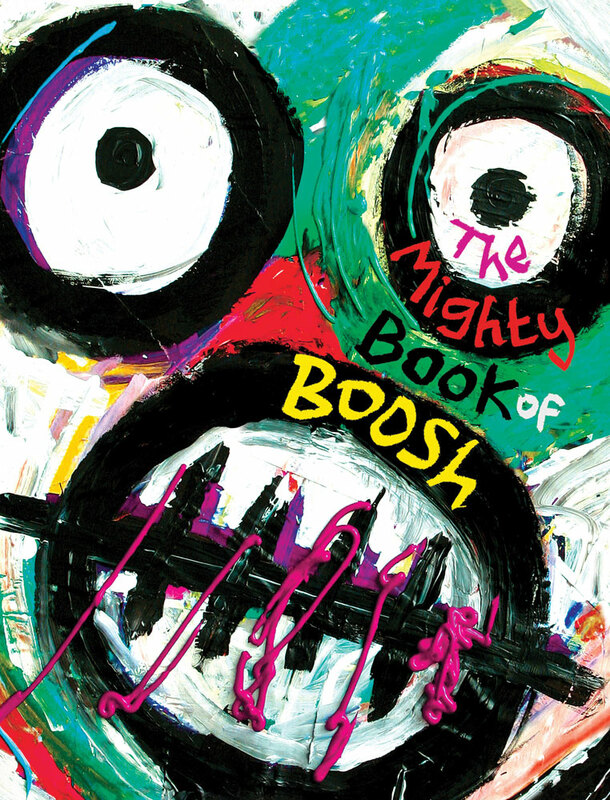 The Mighty Book of Boosh is beautifully produced, with a graphic design sensibility, and, above all, funny. Photos, drawings, illustrated ‘crimps’ and comic strips nod towards TV episodes but spiral off into graphic delirium. Howard Moon’s Trumpet Full of Memories (‘A Budgie Book’) is an affectionate take on a vintage Penguin cover; a boxing bout with a kangaroo is advertised on a classic Warhol / Basquiat red-yellow poster. Another highlight is ‘Bob Fossil’s Guide to Dance’, a series of stop-frame photos capturing the Tummy Rubby, the Oscillating Jerk and other chick-pulling moves. The joy of a joke is in the telling, and the examples collected here are delivered with an impeccable level of stupidity. Where the Pythons had Terry Gilliam’s visual nous to make the books special (along with designer Katy Hepburn – see Eye no. 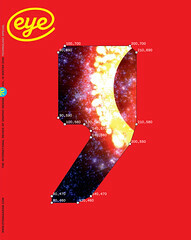 54 vol. 14), so the Boosh have Dave Brown, the graphic designer and photographer known to fans as the gorilla-suited Bollo. Brown art-directs the book without apeing previous styles (the poster and photos are his, and he enlists the help of a team of great illustrators) and he, along with authors Fielding and Barratt, has safely extended the franchise. Long may they crimp.